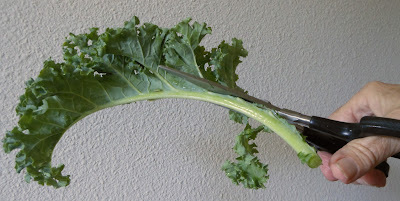 Cut along both sides of the center stem of each kale leaf and discard the stems. Rinse the kale pieces and dry them by first spinning in a salad spinner then leaving them uncovered in the refrigerator overnight. About an hour before serving, heat the oven to 121°C (or 250°F). Toss the dried kale pieces in the olive oil by shaking them with the oil inside a larged covered container, until each piece shows a fine layer of oil on both sides. This can take several minutes. 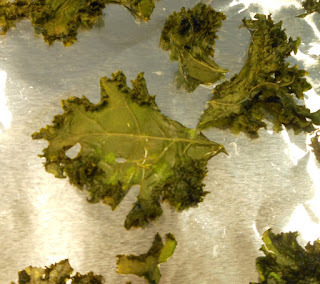 Lay the kale pieces in a single layer on a cookie sheet or a rectangle of aluminum foil. Place in the oven for 45 minutes. 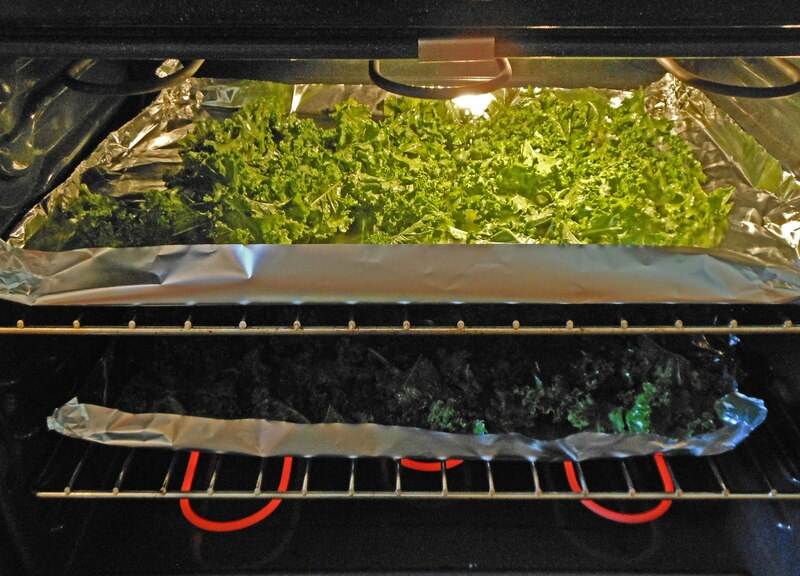 If kale pieces are not light and crunchy, keep them in the oven and check every 5 minutes until they are done. Serve within 10 minutes of cooking them. If they get limp, place them in the oven at the baking temperature and check every 5 minutes until they are crunchy again.